The past three days have been about self-indulgence for me. As a law student and moot court member, I travel to compete at a few competitions a year. The most recent one was held at the Hilton Bonnet Creek in Orlando. Our team was excited because Orlando is only a few hours away. The resort was beautiful and loaded with amenities. The room was ok but clean and good enough for a two-night stay. My favorite thing was to sit outside by the fireplace. Yes, fireplace in the summer. The AC was working on over-drive, and with the doors all open, we enjoyed a wonderful breeze without being cold all day and night. On the left are the Mediterranean Platter along with their version of a Whiskey Sour called Sour Bulleit, and a Cosmo. 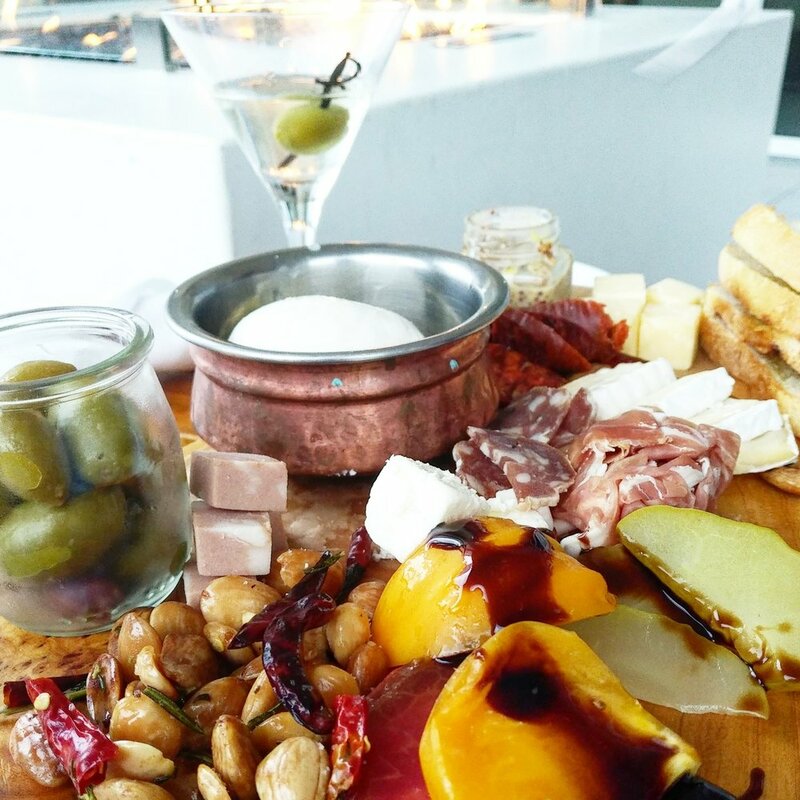 On the right are the Charcuterie Board and a Martini. I have to say, for a lobby bar, this was quite a satisfying set up. My friends and I hung out here for six hours straight until the lights went up at 2am. Nobody bothered us and the server Candy was the nicest. If any of you ever visits this spot, make sure to tip her well. As much fun as it was, I am so happy to be home in my bed. 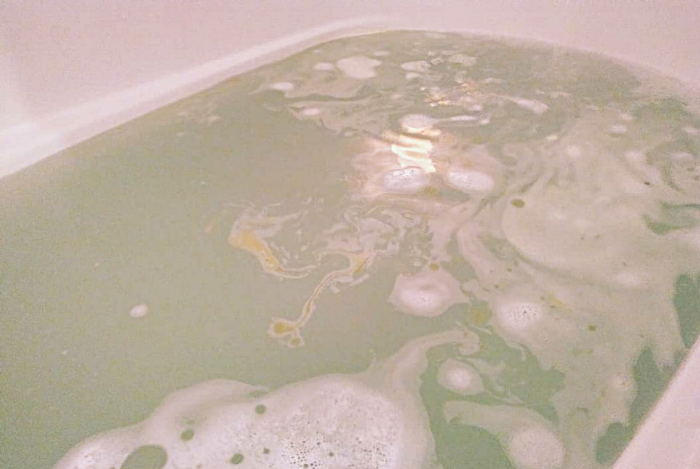 The first thing I did was to take a long long bath in a dark dark room. Sounds dramatic, yes it felt that way to relieve all the stress of traveling. After all the drinking and eating between competing, my body was swelling and my face got very puffy. 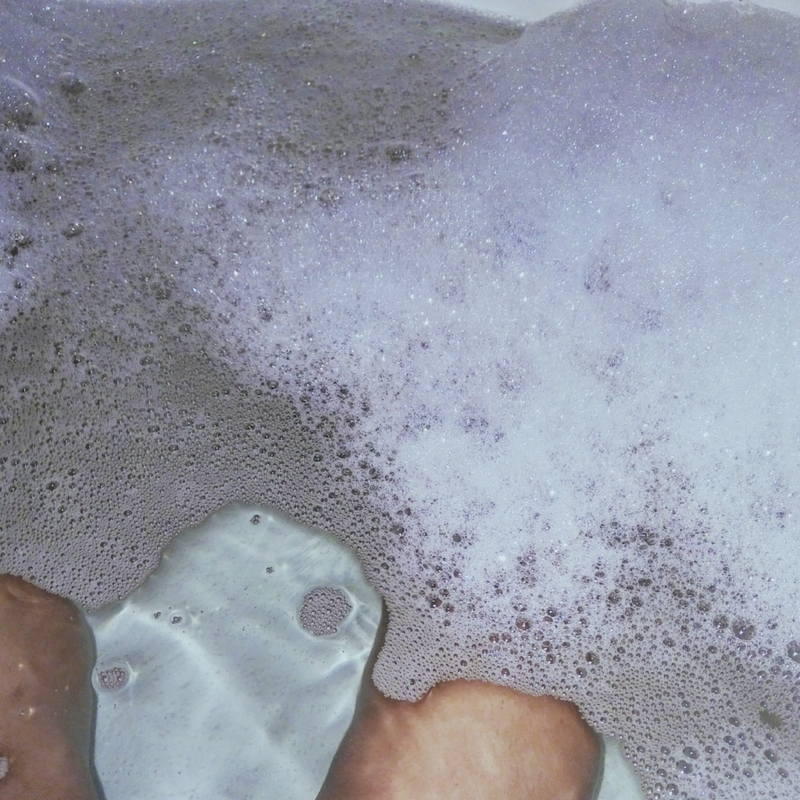 A hot bath, followed by a cold shower, really improved circulation to my extremities. That soreness you get from walking in heels or sitting for an extended period of time? Take a hot bath + cold shower. As far as my face is concerned, I rely on the Body Shop's purifying charcoal mask. Check it out here. Sit back, relax, then all my worries go away momentarily. Don't forget to always drink tons of water as well. Tea is even better! Then the last thing, really, is to doze off to an alarm-less sleep. Hyaluronic acid ("HA") naturally exists in our body. It is found in the highest density in our eyes and joints. It plays many roles important roles as discuss here, including lubrication and joint cushion As we age, the rate at which we produce HA slows down. The Ordinary notes that the natural function of HA in our body is not for hydration. In its natural molecular state, HA cannot penetrate our skin surface. Instead, it sits on top, drawing out moisture to make the skin feel hydrated. Hence, by using various molecular weight of HA as well as HA crosspolymer, they "hang out" longer on your skin surface to enhance that "moist" feeling as well as hydration at deeper level. Easily seen in the ingredient list, Sodium Hyaluronate and its crosspolymer are the main players in this mix. They are modified forms of HA with small molecular size, which helps them penetrate better. "Crosspolymer," from my layman understanding, is the substance--here it is sodium hyaluronate--attached to a polymer structure (think of it like a vehicle) which keeps the the substance at the skin surface to enhance hydration. Understand that it works by attracting water to itself. See more here. I have combination/ oily skin. This HA mixture is good, but it takes a while to dry for me and keeps me pretty shiny. My skin definitely feels hydrated. However, I live in Miami with a very high level of humidity, my face feels a little "tacky" after combining this with 2 other serums. >>> The bottom line is: It works great, but listen to your skin. Totally different combination here. Technically, this is not an HA mix. It does, however, work to achieve similar result. Those two main ingredients with long, unpronounceable names are formed by the fermentation of marine bacterial strain. It's actually a fascinating process. I do not understand it fully myself. If you want to know more, start here. >>> The bottom line is: it carries a light scent (I am guessing from the fermentation process), but my skin much prefers this formula. Much lighter and absorbs much faster. I use these HA formulas in combination with Niacinamide and the "Buffet" mix. Check them out at The Ordinary and let me know how they work for you. About three years ago, I started Toulula as a fashion platform that mainly focuses on vintage items. The site still embraces its original nature. I, myself, have taken on a different message. Shortly after starting Toulula in 2015, I got into law school. That took up a very big chunk of my time and the site has been completely neglected. This time around, I want Toulula to be more conversational and relatable. You can still make purchases on the site whenever I find interesting vintage items. However, the main focus is on --- surprise surprise -- my life. Over the past two years, being in law school has required some serious rewiring of my brain. Life got more serious, I got older, and to be honest, more tired. Outside of the bookish world that I have been living in, I stopped paying attention to much else. But I want to change that i.e., connect more, eat better, take better care of myself, and truly care more about my external self as well as the internal one. In brief, Toulula is taking on a form of social study that I commit myself to. On a more practical note, the entire world is moving online. My site is essentially my virtual real estate. Now I have grow its value with content. Dana Thomas's Deluxe: How Luxury Lost Its Luster. Back in 2009, I was at the peak of money-burning and brandname-hoarding status. There was always strange sense of fulfillment whenever I bought any luxury merchandise. It didn't matter if it was a bottle of perfume, a small wristwatch, or any other obviously-impractical purchases. Buying was like and expression of LOVE. Love for fashion, love for femininity, and passion for some very lofty ideals of beauty. Along came Dana Thomas. You know that arcade game Whack-a-Mole? That happened in my head as I was reading her book. Anything that I thought I knew was getting "whacked". Badly. Take a look at the book cover again, what do fast food and fashion have to do with each other? Luxury, according to her book (more likely my memory), has grown to be an assembly line of mass production rather than an experience of any real values. Life seems a lot faster now than it has ever been. Rarely do we have time to stop and smell the roses (or just breathe, really). My mother used to always get her clothes made and tailored by a lady who lived deep in an alley of Vietnam. 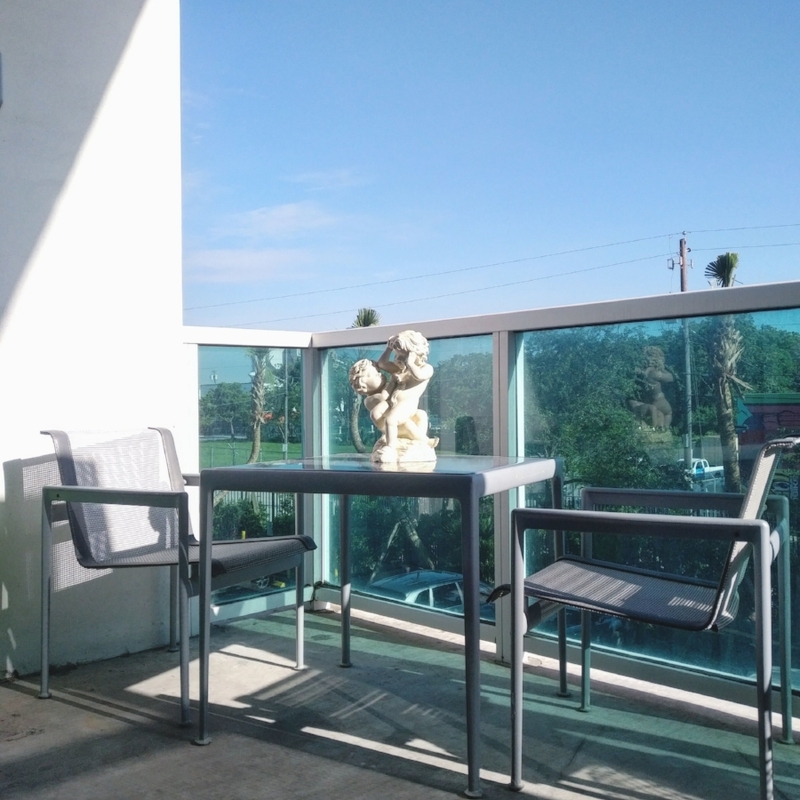 It was not anything "luxurious" but the experience was in deed a luxury: time to slow down and enjoy the details, to contemplate, to get to know yourself, and feel perfectly happy. True luxury: when it is about beautifying your soul, and not a race of consumerism. Toulula welcomes our very first Style Mafia collection. Inspired by the avant-garde (think COMME des GARÇONS) and incubated under the Miami sun, Style Mafia is truly unpredictable, experimental, and genuinely original. Most of us, at least in the U.S., are celebrating Independence Day. Elsewhere, fall has already begun. Like fall, slightly nostalgic of the summer sun yet ecstatic for some tender romance, the fashion world is blooming with a 70s flair. Above is the Balmain Pre-Fall 2015 campaign with a tremendous amount of bold florals, flared trousers, higher waistline adorned with a statement belt. Released in January 2015, during the heat of France's Charlie Hebdo shooting, this is Oliver Rousting's declaration of artistic freedom. Above, we see some spring/ summer trends resonating throughout fall/winter: pleating, shine, lots of textures, structures, lace, and prints. See more below. Yes, I intentionally post RED everywhere due to personal bias. Most importantly, however, it is a beautiful choice that has transitioned gracefully from summer into fall. Layer up, pay attention to that waistline, elongate your silhouette and boom, you are now in fall. If you have had those moments where the dilemma is just so ironic, you want to kick yourself, read on. "So, do I pay rent or buy these beautiful [insert your item of desired that's oh-so-unreasonably-priced]?" First world problem, right? Well, call it what you may. At the core foundation of human behaviors, we are social animals who have very specific needs. What might be the cause of these needs? Let's take a look at the Maslow's Hierarchy of Needs below (bear with me, I'm not nerd-ing out on you, promise). When your needs at a certain level are satisfied, you, as a social animal, will seek to satisfy the next level. It is not a one-way street to fulfillment, which thus explains the frustration-regression principle. I am not proclaiming that such hierarchy is the ultimate truth of life. It is, however, a very nice system to build an understanding of your human behaviors. Let me, at least, say this: be happy that you are thinking about purchasing handbags and shoes because you are probably not starving, dehydrating, or living on the streets. So what do your needs of handbags and fancy shoes say about you? That you are, indeed, a human being whose needs are partially fulfilled. Are you buying yourself a gift? Are you buying out of boredom? Maybe you are going on a fancy date. Whatever reasons that might be, DIG DEEPER. It's not because you are weak, vain, or a woman. It's because you are a human being and also a work in progress. Do not let anyone, no matter who they are, tell you otherwise. And look very beautiful doing it! Why not? Cleo Sullivan feels like a lucid dream, at least his works do. There are no boundaries between his subjects and their surroundings. The children, they are blended, submerged, and forever captured in another world. Poetry or wicked fantasy? Featured up top is the Bonnie Young campaign, which is then followed by a combination of both Bonnie Young and Mischka Aoki. Bonnie Young is an American designer and former Senior Creative Director of Donna Karan Collection. She founded Bonnie Young in 2006 and opened her first store in 2007. Mischka Aoki is an Australian powerhouse for children's haute couture founded in 2009. The brand has since adorned the famed and privileged circle internationally. There cannot possibly be a better way to illustrate extravagance and perfection of craftsmanship. The FW15 Mischka Aoki collection (seen above) is a narrative of the Greek mythology Judgement of Paris. Paris of Troy, the Shepherd Prince could not judge any to be the fairest of goddesses. Beauty was then to be shared and treasured by those who are gifted with it. Beauty and innocence are hard to defined, especially when it comes to children. In the age of technology and pop culture, we're constantly stimulated. Our identities are constantly challenged. What does it really mean to be beautiful? What doest it really mean to protect your child's innocence? With brands like Mischka Aoki and Bonnie Young, the lines are slightly blurred between the art and prodigal consumerism. Choices are, as always, personal and subject to change. Just something to ponder upon. Enjoy the week ahead! The Bohemians are back, everyone; and Alessandro Michele is Gucci's John Lennon. 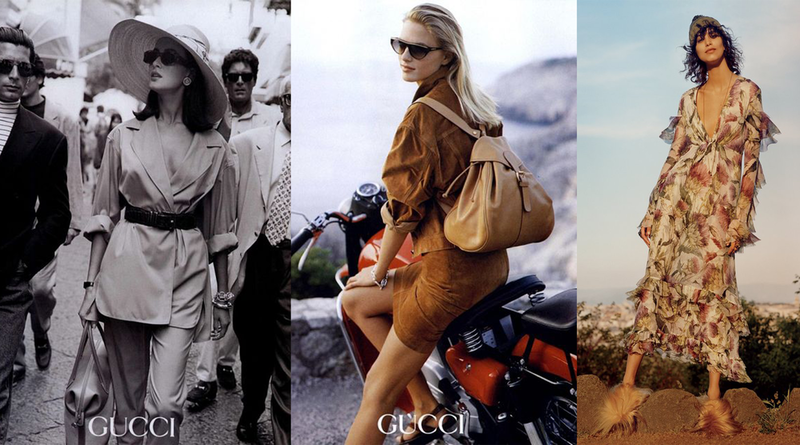 In the image above, you can see a Gucci Campaign in the 90s (left and middle), then now in 2015. The silhouettes have softened a lot; and while that masculine edge is still there, it feels a lot more mellow and romantic. Makes me want to pop open a bottle of Napa Cabernet. Yea, you heard me right. American wine to an Italian romance. There are many kinds of romance, you know. A slow walk with wind in your hair or a daredevil ride on a bike—they're all worth it. The new collection feels like that slow walk, maybe with comic books, and a boombox (honestly). Above is the man himself, Alessandro Michele. “It’s not easy to live now,” he says. “I think we need to dream. So I wanted to present an idea of something romantic, in dream time—like in a movie.” And dream he did. Quirky old-lady-inspired pink lace with big earrings and glasses. He's simply having a lot of fun. All the boys are dipped in florals with disheveled, long hair. I told you—bohemians, hippies, dreamers, lovers—they're all back. Romance is overstated and undervalued. Whatever that means to you. Have a wondrous weekend! 1. Top right and bottom left: Photography by Jamie Hawkesworth as seen in Vogue July, 2015. A Parisian man once said "Women no longer exist, all that's left are the boys created by Chanel." There is some truth to that. We, at Toulula, believe in the freedom that she imposed upon her women. Femininity got shooed from frills to stripes, from dresses to trousers, from colors to black. "Colors are impossible," she stated. "These women, I am going to put them in goddamned black." Next time you put on your "little black dress", know that you're wearing Chanel, with or without the label. Don't forget the stripes! Taking inspiration from military uniform, Chanel iconized the striped jersey and nautical look. Some might now refer to these details as "preppy". Sorry, Chanel came first. Above is Chanel in her nautical-style flared trousers and yachting cap. Yes, she's wearing pearls with those too. If you're bored with all the stripes, think again, they're actually quite dramatic. Chanel designed costumes for the theatre as well. Below is her design for The Blue Train, a 1924 pantomime ballet. Well, what does all of this have to do with Toulula? As you can see, we have nautical influence and stripes in our brand design. Inspired by timeless and dynamic femininity, specifically Chanel, Toulula aims to celebrate classic femininity with a twist of modern drama. With Toulula, you can always find vintage fashion pieces that never go out of style, slices of history that define our present, modern trends, and most importantly, a good price! 2. 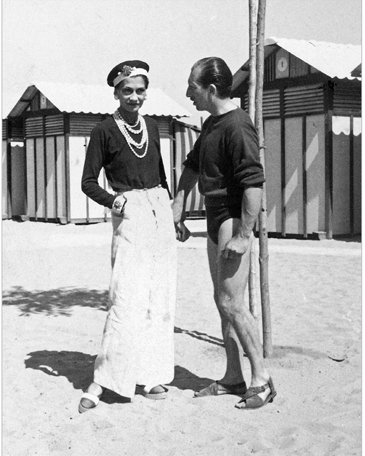 Other images as presented in Mademoiselle: Coco Chanel and the Pulse of History by Garelick, R. K. (2014).